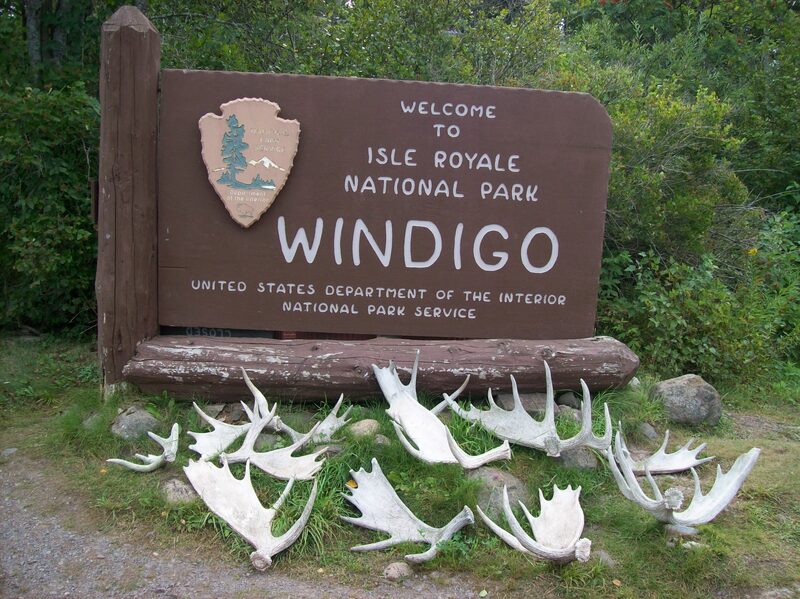 Michigan’s only national park is Isle Royale National Park in Lake Superior, 55 miles from the Keweenaw Peninsula and 22 miles from the Canadian shoreline. The island is 45 miles long and as wide as nine miles, and is accessible only by boat or plane. The Rock of Ages Lighthouse warns mariners of a large strip of exposed rock a few miles west of Isle Royale. 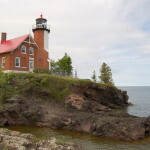 This is Michigan’s tallest lighthouse, and also one of the most remote and challenging to visit – the best views come from Isle Royale ferry service that departs from Grand Portage, Minnesota. 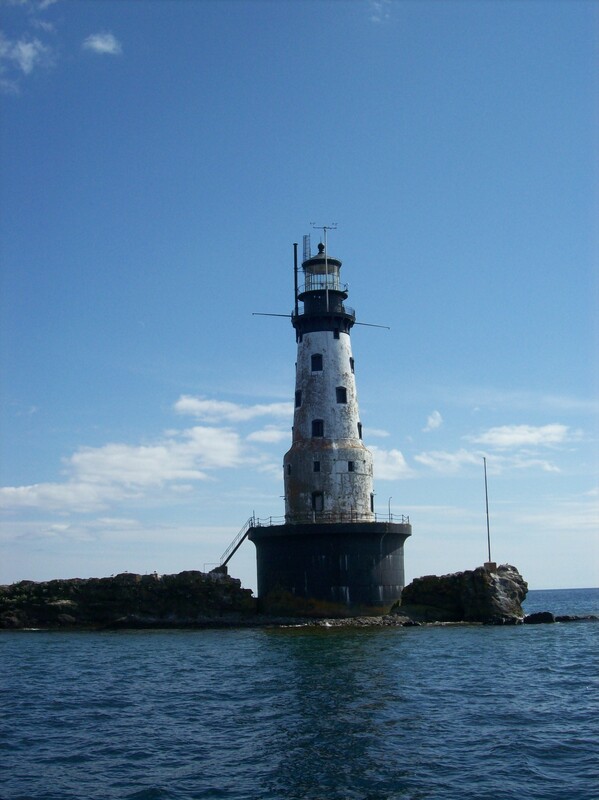 The Rock of Ages Lighthouse first went into service in 1910 as ship traffic to and from Duluth, Minnesota increased. 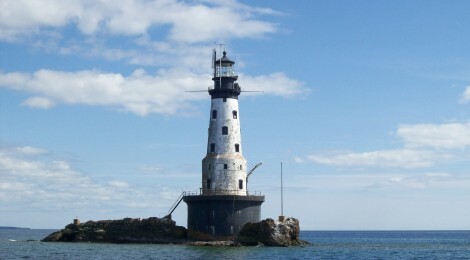 Two ships (the Cumberland and the Henry Chisholm) had wrecked on the reef before construction started on the lighthouse. 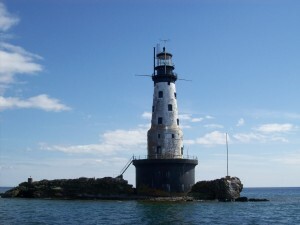 A crew of lighthouse keepers tended to Rock of Ages, and the remote location made it one of the toughest posts on the Great Lakes. 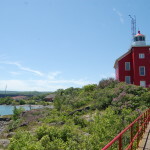 There are three other lighthouses on or surrounding Isle Royale: Rock Harbor Lighthouse (open for tours), Menagerie Island (also called Isle Royale) Lighthouse, and Passage Island Lighthouse. With a height of 130 feet, the Rock of Ages Lighthouse is not only Michigan’s tallest lighthouse – it is the tallest on the Great Lakes as well. 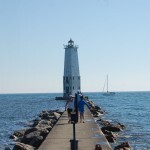 It is constructed on a concrete pier, and the tower itself is brick that is dull gray in color. 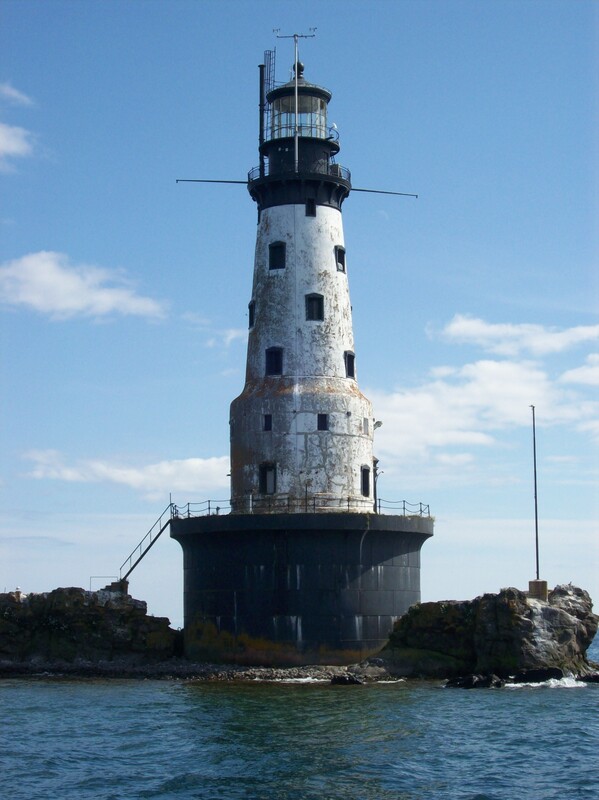 It somewhat resembles a spark plug, and it has a black lantern room and black trim around its windows. 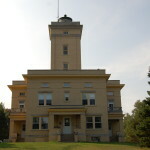 With nothing around it but the sky and the waters of Lake Superior, this remote light makes for some beautiful photos. 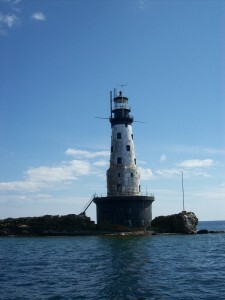 Travel the Mitten thanks Russell Katje for sharing his photos of Rock of Age Lighthouse with us.